Many congratulations to all St Mary’s girls who took part in the Queen Anne Spelling Bee on the 16th November 2016. 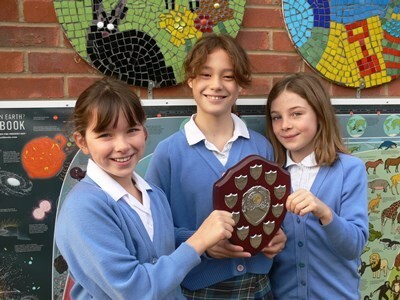 Year 6 girls Kitty, Florence and Sienna proved to everyone that they are excellent spellers, by securing first place in their age category. Martha, Chloe and Lilly in Year 4 also did very well. Everyone at St Mary’s is very proud of all the girls who took part. They showed real courage and worked well as a team. Great job!